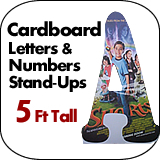 Letters & Numbers 60" - Dino Rentos Studios, INC. These letters must ship freight. Shipping starts at approximately $100. We will call with the freight costs once your order is being processed, and will bill the shipping separately at that time. You may also call us for a freight estimate before placing your order. Price does not include freight cost. 1. How Many Inches Deep: Select how thick (deep) you want your letters. 2. Letter Color: Select the color you want us to paint your foam letters. You can also select Un-Painted so that you can paint the raw foam letters yourself. You can also select Custom Color and we will contact you to review your color need. 3. Super Gloss: Super Gloss upgrade will make the letters look like they have a coating of glass on them. An amazing coating finish for your letters. 4. 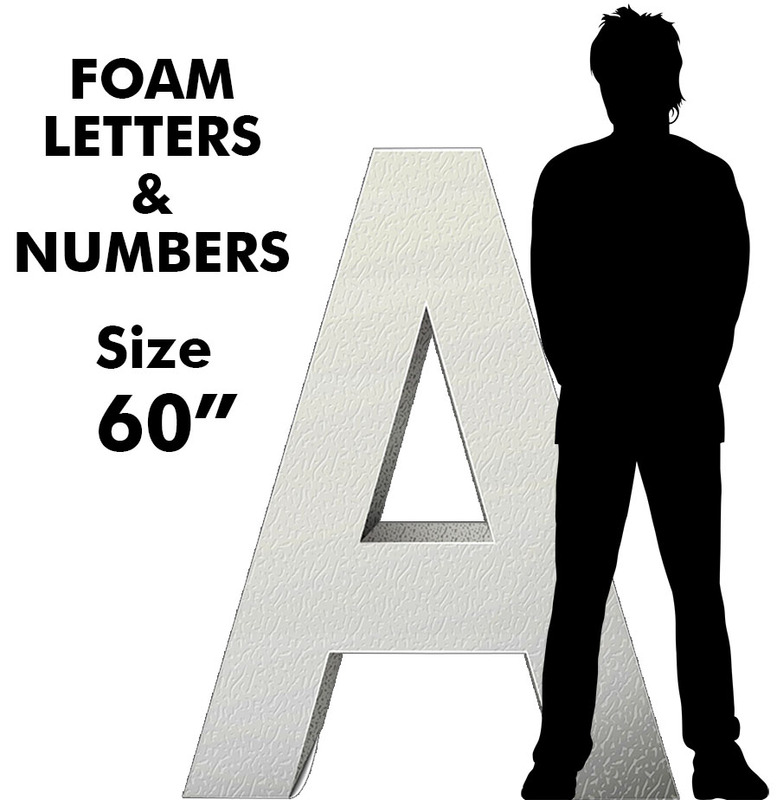 Foam Upgrade: If your letters are greater than 2" deep and you want your letter cut from High Strength, Smooth High Density Foam, call us to place your order. We can review your needs and price this option out. For 1" and 2" deep you can order this online. 5. Hard Coating: You can have your letters hardcoated for outdoor use. Select your coating type. Hard Coat prices valid for 1" and 2" deep letters. If you want to hardcoat letters thicker than 2", you must call us for pricing. 6. Font Style: Select the font you want to use for your foam letters. Or if you want a different font, select Other Font and we will call you to review. 7. Make Me These Letters: Enter the letters you want us to make for you. We will cut as you enter the letters, so make sure you use upper case and lower case letters as you inted the final product to be. 8. Quantity: Enter the number of letters you typed in the "Make Me These Letters" box. For example, if you entered the letters "SALE" you would select Quantity (4).